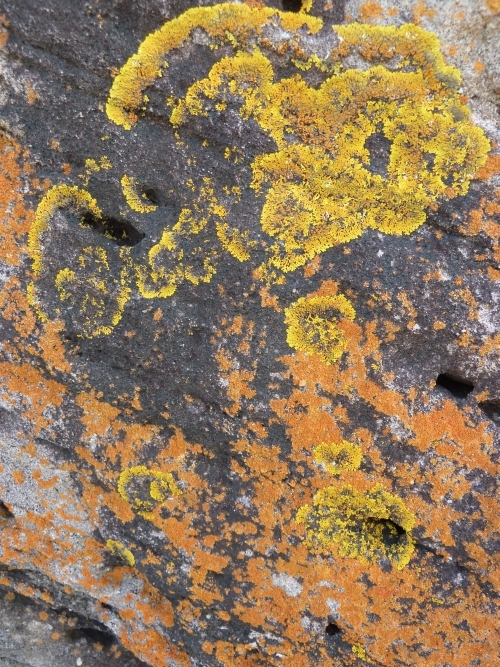 Here is a story written by our Secretary, Therese Weiss (with input from bush carers of FoMH) about the recent history of the Western Bushland, now the Western Section of Malabar Headland National Park. The time: mid-1990s. The place: a patch of bush, south of Maroubra Beach, adjoining the Anzac Rifle Range and backing on to suburban housing. Four cul-de-sac streets point their stubby fingers expectantly into the bush. “This is better than the Royal!” I exclaimed to myself as I walked through the heath. There were some tracks worn in various places, punctuated with burnt-out car wrecks. Unfortunately, the land is zoned for housing. Fast forward to Saturday 17 February, 2018. The Mayor of Randwick, Councillor Lindsay Shurey (long-term member of Friends of Malabar Headland, Greens Councillor) formally opens the walkway in the 17 hectare section of MHNP, known as the Western Section, in the presence of hundreds of local residents. Friends of Malabar Headland have received an official invitation. In August 1987, the Western Bushland was included on the Register of the National Estate by the Australian Heritage Commission. Car wrecks were removed and fencing put up in 2001, with a fire-break between the fence and the 1960s and 1970s home unit blocks. FoMH had advocated vigorously over sixteen years to have the bush rezoned as “National Parks and Nature Reserves”, through a campaign of raising local awareness and letter-writing stalls at community events, and promoting the beauty of the bush by giving prizes at two annual local art shows. There were numerous meetings with councillors, state and federal members, and the local Aboriginal Land Council. It was announced that parts the Western section would be transferred on 28/2/2011 for conservation purposes from Commonwealth to State ownership, under the Environment ministry of Peter Garrett. In March 2011 Councillor Murray Matson, Greens Mayor of Randwick Council applied to rezone Lot 4 DP 809094 on the Malabar Headland from ‘2B (Residential B Zone)’ to the current ‘8 (National Parks Zone)’ as the first stage of the creation of a new national park on the Headland. The Commonwealth then completed remediation of the Western Bushland (principally removal of small pockets of hazardous and general rubbish.) Transfer of the Western Bushland to its new owner the State of New South Wales was made official with a handover ceremony on 2 March 2012. Declaration of the 17.7 hectares of the western section as Malabar Headland National Park was announced in the NSW Government Gazette no. 126 of 7 December 2012. 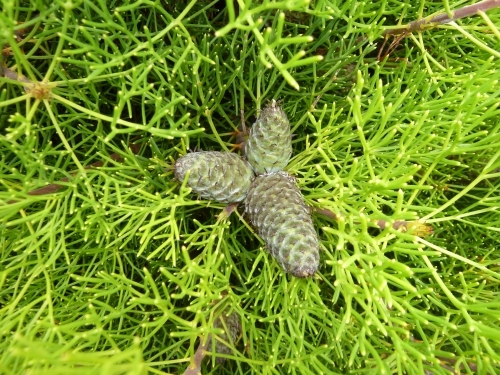 Malabar Headland National Park contains some of the last stands of a relic of vegetation once found throughout coastal areas of Sydney: Eastern Suburbs Banksia Scrub. ESBS in the Sydney Basin Bioregion has been determined to be a Critically Endangered Ecological Community by the NSW Threatened Species Scientific Committee and the final listing was published on 1 December 2017. The 17.7 ha in the western Section includes 5.5 ha of ESBS. Since 1986 community members (later formed into an incorporated association “Friends of Malabar Headland” in 2000) worked hard and long to remove extensive infestations of bitou, pampas grass and lantana, as well as many other weeds, from the eastern, coastal section of the future park, surrounding the ANZAC rifle range. Alan Hall supervised volunteer bush care in the West since 1996. Some work was also done by contractors on the eastern edge of the Western section. The main infestations were cleared by 2004. Initially they worked with the permission of the owners, the Commonwealth of Australia. A new group took over in the West on Sundays from November 2010. Since it became a National Park this group has worked under a Memorandum of Understanding with NPWS. Both East and West groups are still active. 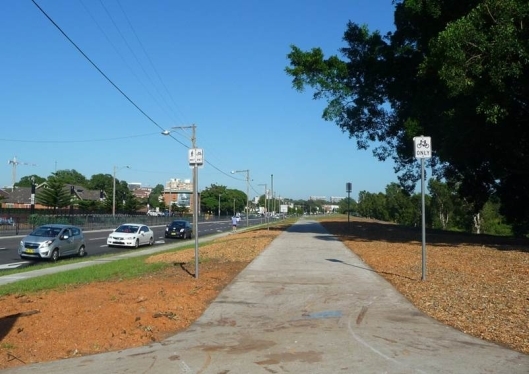 Randwick Council carried out community consultation for the walkway through the western bush in March 2016, and resolved in May 2016 to go ahead with the construction in cooperation with NPWS. The funding was $800,000 from the capital works budget and $200,000 from the Metropolitan Greenspace grant in December 2014. The 1.15 km walkway forms a missing link in the coastal walk which can be used instead of the of the longer 4km coastal track from South Maroubra to Malabar (Long Bay) which is closed to the public when the rifle range is in use on Saturdays, third Sunday of each month, and various weekdays. The walkway, largely a grid-style boardwalk, makes a path up and down through remarkably lovely coastal heath and woodland. The high part on the escarpment overlooks the rifle range for a splendid view of the ocean. FoMH will continue to work to help the community to meet the challenge of caring for high quality bush so close to suburbia. The park survived informal use over many years. Ongoing problems include littering, dumping, campfires, dogs, and tramping off the tracks. We hope that with increased formal use and popularity, everyone will act in a friendly manner towards Malabar Headland. Map supplied by Randwick Council. Now that the MHNP (Eastern section) is officially open, NPWS has established a website for the new National Park. The website can be accessed here. There is another link to the NSW NPWS Malabar Headland NP site in the ‘Relevant Links” section below left. Please note that the National Park is closed on days when shooting is underway. In May this year the Turnbull coalition government stitched up a secret, dirty backroom deal to lock the community that I represent out of 177 hectares of historically and environmentally significant green space at Malabar headland. Made in the shadows with the crossbench senator and gun enthusiast David Leyonhjelm, the agreement to lease out the central portion of Malabar headland to the New South Wales Rifle Association for the next 50 years has been met with anger, frustration and disbelief in our community. I have nothing against the New South Wales Rifle Association or any of its members. In fact, they have invited me to some of their events and functions. They are good people and they are dedicated to their sport. But there are now many young families, elderly people and a large number of residents living in the vicinity of Malabar headland, and shooting is no longer consistent with the family environment that lives on the back door of where these shooting activities are taking place. Having grown up in Maroubra, I have a deep appreciation for the headland and the place that it holds in the hearts of residents, who overwhelmingly want to see the government do what has been promised and find an alternative site for the shooters so that the beautiful and unique headland can be protected from development and returned to the people as public open space. This is the last remaining tract of native bushland that exists in Sydney between the harbour and Botany Bay. Every other spare spot of native bushland along that coastline has been developed. We must preserve and maintain this historic green space for use and enjoyment by the people of Australia. The former Labor government commenced work to see this goal achieved to preserve the headland. The western portion of the headland was cleaned up at a cost of $2 million and handed back to the New South Wales government to be made a national park. The eastern portion near the ocean was remediated at a cost of $9 million and is now a national park. The central portion requires much more work, given that it was a former waste dump site. Independent reports indicate asbestos and leachate contamination. Under the coalition government, however, progress towards returning this headland to the people has been slow and is now going backwards. In January this year, it was revealed that the government had commissioned a secret report into development options for the headland, which said that the headland was ‘surplus to requirements’ and would generate ‘significant returns if sold’. Upon release of the report, the member for Maroubra, Michael Daley, and I, with the Friends of Malabar Headland, strongly campaigned against any development on the headland, and, in one day, the environment minister at the time, Greg Hunt, backed down and now claims there will be no such development. The coalition government had promised at the 2013 election to return the horse riding school that was on the headland back to the headland within six months. It is now over three years and not one horse has returned to the headland. Now the coalition government appears intent on delaying the relocation of the shooters, with Mr Hunt declaring in January this year that they had a ‘long-term future’ on Malabar Headland and that finding the shooters an alternative range could take ‘three, five or 17 years’. The shooting club must be relocated to an alternative premises. Meanwhile, residents are facing an increase in the frequency of shooting activities on the site. The rifle association has been offered a paltry $25,000 per year to lease the site and gain restricted access. The number of days of shooting has increased. Locals have been locked out by security guards from entering the site. We have a national park that no-one can go into on the days that the shooting is occurring because it is a safety risk. The situation is a direct result of the Turnbull government’s tenuous hold on power, which has led to this joke of a deal being done with Senator Leyonhjelm. It completely ignores the wishes of the community that I represent and locks them out of the headland for 50 years. The government needs to get its act together. It needs to find an alternative site for the shooting club, bring the horses back and provide the local community with safe access to the national park and this headland treasure. It is Labor’s plan to turn this area into a parkland that is open to the people and a national park with walking tracks on the headland. We demand to know when the government will end this farce. Here is a great story on the new Eastern Walkway in MHNP. Photos and words (slightly edited) are by Claire Bettington, Treasurer of FoMH. Great work Claire! On 4 July, the FoMH committee, some Members of Maroubra Beach Precinct Committee, and staff from Randwick Council walked along the proposed formal track in the Eastern Section, guided by Chad Weston from NPWS. Please note: the Park is not open to the public yet, there are still muddy sections that need stairs and boardwalk, and workmen are on site. No one is permitted in the Eastern Section on shooting days. We followed the main track (some of you know this as “Mission Impossible Drive”) to Boora Pt. There will be an alternative route from the car park, which follows the coastal track half way to Boora Pt, then ascends the spur to a lookout area on the bare rocks on top, close to where the windmill plinth was, now gone. At the erosion gully near Magic Pt, some steps have been installed shown here with Chad, our NPWS Ranger. More boardwalk is being installed, and the Rifle Range is going to have a secure fence around it to stop people entering it when shooting is happening. We will keep you up to date with the progress of the boardwalks and more. The Park should be officially open soon, so watch this space! We at FoMH feel that the new 50 year lease arrangement is a secret backroom deal which was unannounced (except by Senator Leyonhjelm on Facebook), undiscussed and decidedly underhanded. There was no consultation at all. Just a few months ago we had the shooters and Minister Hunt in agreement that the rifle range would be relocated to another facility in “3, 5 or even 17 years”, and now NSWRA have a new confidential 50 year lease signed sealed and delivered. It seems that there will be a massive increase in shooting days from the current one or two days per week to 5 days per week. This would mean that the new Eastern National Park would only be open to the public on two days per week, and perhaps not at all on weekends. We think this is an unacceptable situation that could have been avoided if consultation had occurred between ALL the stakeholders of Malabar Headland prior to signing any new lease. This is public land after all. FoMH was not consulted or notified of the new lease. NPWS were also not consulted and had to confront the NSWRA in a meeting about the news! Local residents were not consulted about the increased shooting days. FoMH has always recognised that without the Rifle Range, there would probably be no bush now to protect, and we do not view the new 50 year lease as a negative in regard to the protection of the precious ESBS bush. The continued presence of shooters should mean that there can be no development on the headland, although we don’t know the terms and conditions of the lease. 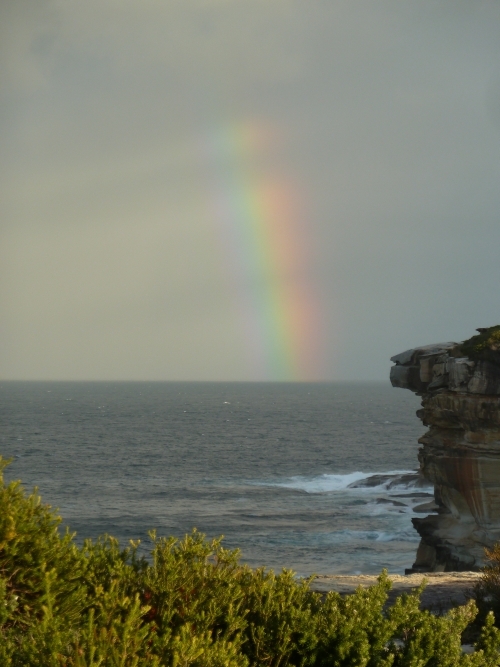 We do know that our vision for the whole of Malabar Headland is now many more years away. It is disappointing that the landfill will not be remediated any time soon, and that the Rifle Range will not become Public Open Space in the near future, but we appreciate that fixing the landfill is a very expensive proposition for any government and we wonder why/how shooters and horses/riders can utilise the unremediated landfill areas safely. People are quite rightly upset about the complete lack of community consultation in this new lease arrangement and the secrecy associated with the terms of the lease, and how things have changed so quickly from the earlier statements of Minister Hunt. They are confused about how a new National Park can be closed 5 days a week and on weekends. They are worried about noise from increased shooting. We trust that NPWS and the shooters will work closely together to ensure that there is a satisfactory compromise between public access and shooting access. We understand that if the shooters are not active on any particular day, the Eastern walkway will be accessible, and NPWS will leave the gates in the new fence open at all times EXCEPT when they are shooting. The eastern walkway is progressing at a fast pace, and will be opened very soon. We are hoping for an invite to the opening. We will be working hard to ensure fair public access to the Eastern walkway and National Park! Why not join us? Friends of Malabar Headland (FoMH) welcomes the handover of the 70 hectare eastern section of the Headland to the state government for the creation of the second part of the Malabar Headland National Park. Our dream for the creation of national parks in the eastern and Western sections of the Headland is about to be realised, and for that we are very grateful. The total park will be 87 hectares, almost exactly half of the total headland. We look forward to the park being opened to the public in June as proposed by the state government. However there are many issues to be solved between now and then, especially considering that the park can only be accessed by the public on days when the rifle range is not operating. Issues such as security of the site on shooting days and more secure fencing will need to be addressed. This will certainly be a unique National Park, not just because of its incredible location, flora/fauna and history, but also because the rifle range has the right to operate 7 days per week if it wishes, which would mean no public access at all in the eastern section! Presently, the rifle range only operates on Saturdays, but the shooters have indicated that they would like to operate more days per week, with Sunday the preferred day. This would mean no weekend access for the general public. FoMH have always understood and acknowledged that the existence of the rifle range has enabled the headland to be retained in public hands and, with the help of FoMH bush regenerators, preserved the remnant Eastern Suburbs Banksia Scrub on the site, and most importantly, not lost the headland to development. We hope that the shooters will work closely with National Parks & Wildlife Service to ensure that public access to the park can be maximised. In that way the park and the rifle range can peacefully co-exist until a new home can be found for the rifle range. This could take up to 17 years according to Federal Environment Minister Greg Hunt. FoMH are still very concerned about the long term future of the remaining 87 hectares of the headland after the shooters relocate, despite Minister Hunt’s claim last year that the “whole site, all of it, will be retained in public hands forever”. Remember, even Barrangaroo is still in public hands. All levels of government are facing huge fiscal challenges, and privatisation of public assets is one way to plug the fiscal holes in their budgets. The federal government even offers monetary incentives to the states to privatise public assets in their euphemistically titled Asset Recycling Program. The federal government has already looked into development options, and the rifle range site is estimated to be worth some billions of dollars. Cash strapped governments of all persuasions may be tempted to recycle this asset. FoMHs vision for the other half of Malabar Headland after the shooters relocate, has always been to keep it as public open space, to be used by a large number of groups including horse riding clubs, model airplane clubs and the general public for active and passive recreation. Our dream of the Malabar Headland National Park is near to fruition, but FoMH will continue to work towards our ultimate dream of saving the entire Malabar Headland for public recreation. As population densities in Sydney increases, the need for this open space also increases. Once it is developed it will be lost forever. 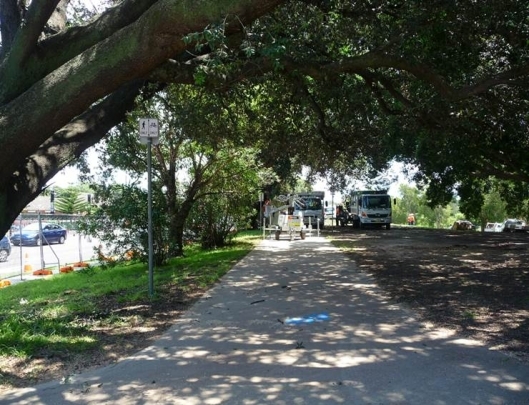 Dave Pyett, Chair of Friends of Malabar Headland (FoMH), has issued a media release about the destruction of a whole avenue of mature trees along Alison Rd, Centennial Park, the Public Land grab that allowed the destruction of the trees, and the wider implications of this activity for special places like Malabar Headland. My name is David Pyett, I am the Chair of Friends of Malabar Headland. Last Friday and Saturday 48 mature, large, heritage and other trees growing along Alison Rd Randwick were destroyed by the Baird Government, for development of the Light Rail and a station for the Race Course on what was formerly Public Land on the Southern edge of Centennial Park. The trees were destroyed in a lightning fast operation which went on day and night over a 48 hr period. This morning (Monday 11 January) I attended a “funeral for the trees” at the intersection of Alison Road and Darley Road, with Randwick resident, FoMH member and protester Claire Bettington, and Randwick City Councillor Murray Matson. (3) Changed the agreed to plans by a substantial amendment, exhibited just before Christmas 2014, a time of the year when hardly anyone was aware or available to comment. I regard this as a manipulation of the Planning Laws and processes so that environmental and social concerns can be ignored, Public Land can be taken at will for any purpose the government deems fit and awarded to those in the private sector who may or may not be financial donors to the Liberal Party. The message for us is clear: if the Baird Government can do this quite blatantly to the residents of Sydney and Randwick, then they can do it to Malabar Headland! The implications for the impending handover to the State Government of the Eastern Section of bush on Malabar Headland are enormous, and if we are not careful, there will be no guarantee of the same protection for the Eastern Section as there is for the Western Section, now a National Park. 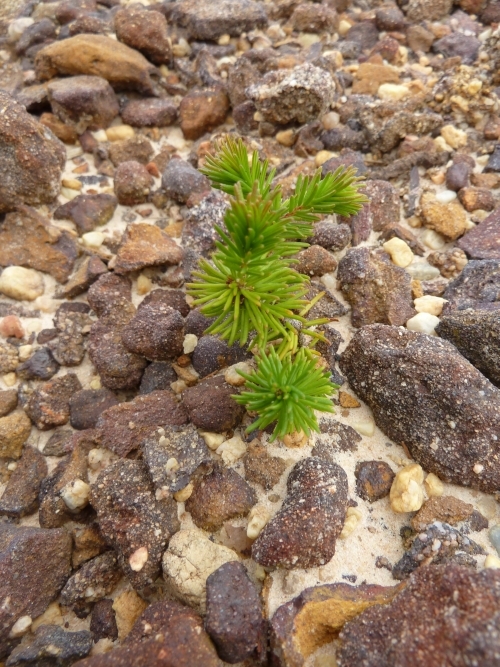 We remain ever vigilant for the future of Malabar Headland. Less than 48 hrs later, 48 trees had been reduced to woodchips, for no reason at all. Only two trees survived. The Light Rail should have been built on the Randwick racecourse side of Alison Road, as originally agreed. Please share widely, and let Premier “Chainsaw Mike” Baird and Minister for Transport Andrew Constance know how you feel about the destruction. These were our trees on our Public Land. Greg Hunt the Federal Environment Minister and Rob Stokes, the NSW Environment Minister held a press conference at the Randwick Golf Club at Malabar on Thursday 18 March (Malabar Headland in the background) to announce that the Eastern Bush would be made into a National Park. Representatives of the horse riding community were present. However the Friends of Malabar Headland, who have worked tirelessly for 14 years to protect the Eastern Bush from both human development and invasive weeds, were not invited. Leesha McKenny then wrote an article for the Sydney Morning Herald. We cautiously welcome the latest announcement, but we remain skeptical until we see documented proof of a commitment of money in the budget to build a new Shooting Range elsewhere and to move the shooters to their new site. Nothing will happen to the Eastern Bush until the shooters have gone, as the Eastern Bush forms part of the Safety Template for the Shooting Range. That means that it will not become a National Park any time soon; Greg Hunt is fully aware of this fact. At the moment, the Shooters have a licence to shoot at any time, seven days per week, between 9am and 5pm. 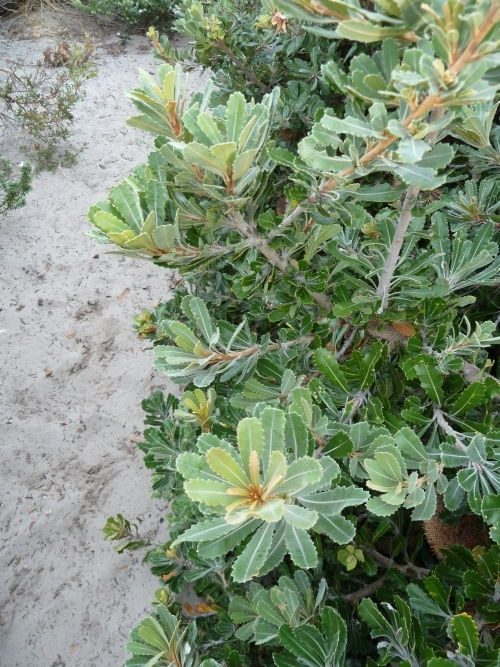 The Commonwealth – landowner of Malabar Headland – have repeatedly told us that the Eastern Section of bush cannot be handed over as National Park until the Shooters have moved; indeed they have banned our group from weeding in the Eastern bush on days when there is no shooting, as per our previous arrangement for 14 years. We were not invited to attend this morning’s announcement. Note: On a target shooting range, the safety template is the area behind and adjacent to the targets that stray or ricocheting bullets might enter. When the range is in use, no one can safely enter the safety template. At Malabar Headland, the operational range is the long, full bore range on the northern side of the site. The safety template of this range extends east, north and south of the targets. It includes the scenic walking track along the coast from South Maroubra to Magic Point and the beautiful bushland to the west of the track – that is, some of the finest bushland and most magnificent scenery in the proposed national park land.